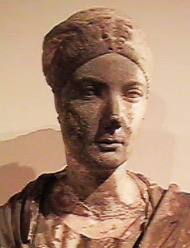 Vibia Sabina was the daughter of Matidia and grandniece of Trajan. At the prompting of Trajan’s wifePlotina, the marriage of Sabina to Hadrian took place in 100 AD without the full support of Trajan himself. The families of Trajan and Hadrian were already linked in the past since Trajan’s father was the brother of Hadrian’s grandfather. 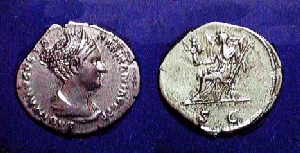 Nevertheless, Sabina was a supportive wife to Hadrian. She accompanied her husband on most of his journeys throughout the empire. Still, her marriage to Hadrian was very unhappy perhaps due to his homosexual affair with Antinous. 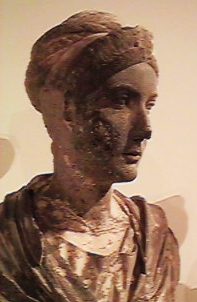 There was a hint of an affair between Sabina and the court biographer and historian Suetonius. Hadrian dismissed Suetonius and was reported to have said that he would have sent Sabina away as well had he been a private citizen.Not much else is known about Sabina. She died before Hadrian in 136 or 137 AD. 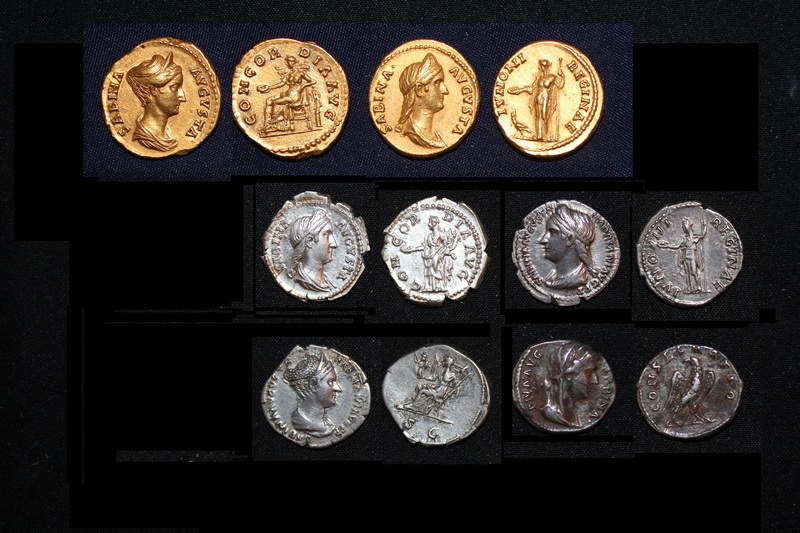 Hadrian consecrated Sabina and produced a limited postumous issue of coinage in her memory. 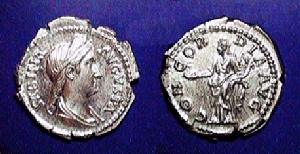 Two portraits styles were employed on her coinage. The first design shows her hair put up in a style similar to that of her mother’s portraits. Later, the hair style appears to have changed displaying a what one might call a pony-tail.